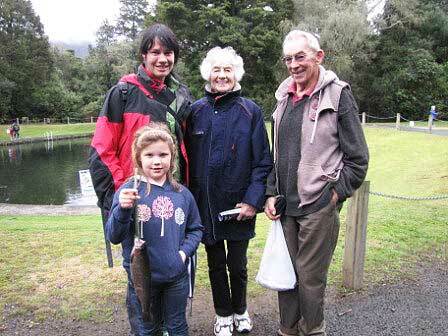 The Tongariro National Trout Centre is world famous in the central North Island for its kid’s fish outs. 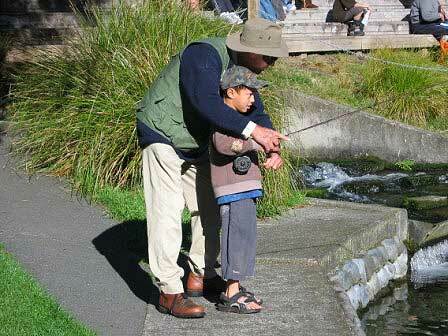 Fishing for your first trout with a volunteer angler is a big part of local identity – you catch a trout at the children’s pond when you are young, and then grow up and go on to take your own children and grandchildren. 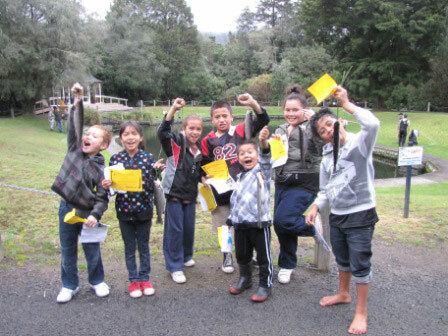 Tongariro Trout Centre Society president Rob Lester explains, “I think we are the luckiest volunteers when you see the delight on the children’s faces”. There are seven fish outs a year that attract up to 200 children at a time and bring visitors in from out of town. 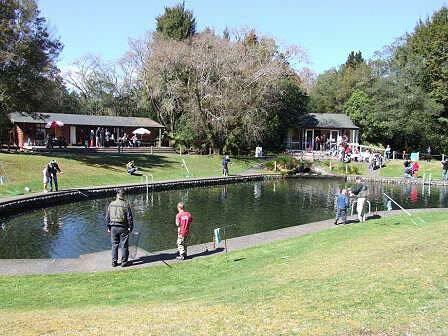 The Tongariro Trout Centre Society was incorporated in 2001 to develop, promote and expand the Tongariro National Trout Centre. In partnership with DOC and Genesis Energy, the Centre has become a place that not only promotes the Taupō Fishery, but is also a leading advocate for freshwater conservation. The land was originally gifted from the Downs family and in 1926 a trout hatchery was established. The site was chosen for the purity and temperature of the water from the Waihukahuka spring and stream—cool, clear and clean. 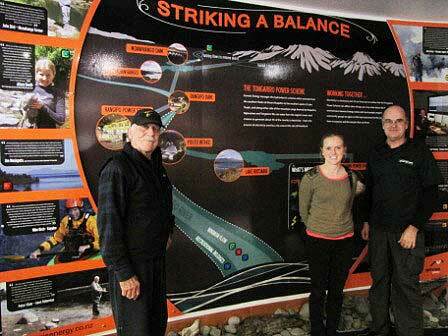 In 2003 the River Walk building was opened to help promote the Taupō Fishery. The Taupō for Tomorrow education programme classroom was built in 2006 and named after the late kaumātua, Whakapumautanga Downs. 2011 saw the opening of the Genesis Energy Freshwater Aquarium where you can get an up-close and personal experience with many of our native species such as kōkopu and kōaro. 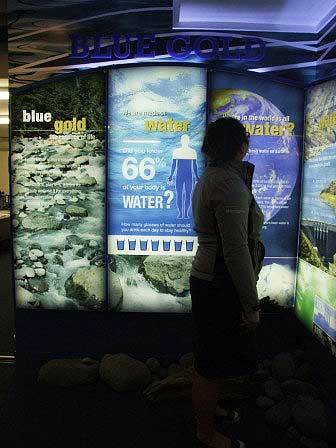 The visitor centre was also upgraded with interpretation that includes a 20 minute film and a series on freshwater conservation titled ‘Blue Gold’. Whio (blue duck) can now be seen from the grounds of the Tongariro Trout Centre due to a local collaborative effort on predator trapping. It has hosted Whio Family Day for the last three years. It is exciting to see the Tongariro Trout Centre not only giving us the buzz of a trout on the end of our line, or even bringing us face to face with a kōkopu or whio for the first time, but leaving us with a deep understanding of the importance of clean freshwater for our future. Working together, in partnership with our volunteers, is fast tracking us towards our dreams and goals to preserve our freshwater for future generations.